Arctic Circle: How Can I Get There From Fairbanks, Alaska? The Northern Lights, herds of caribou, and miles and miles of open space — these are what people think of when they think of Alaska. It’s vast and open, and if you look at the map, it is literally cut off from the rest of the US. This, added with its quiet and dark atmosphere makes it the perfect place to get away if you’re looking for some solitude. But where do you even start when visiting Alaska? After all, this cold, secluded state is pretty big. Luckily, Airlink Alaska can help you out. They offer various tours and know just what they’re doing, allowing you to achieve the best experience possible. One of their greatest tours will take you from Fairbanks, Alaska to the Arctic Circle – 400 miles roundtrip through the scenic tundra. You won’t find much traffic here at all. Well, everyone knows that the best adventures start when you take the road less traveled. What is the Arctic Circle Anyway? Alaska is filled with rich, beautiful landscapes. 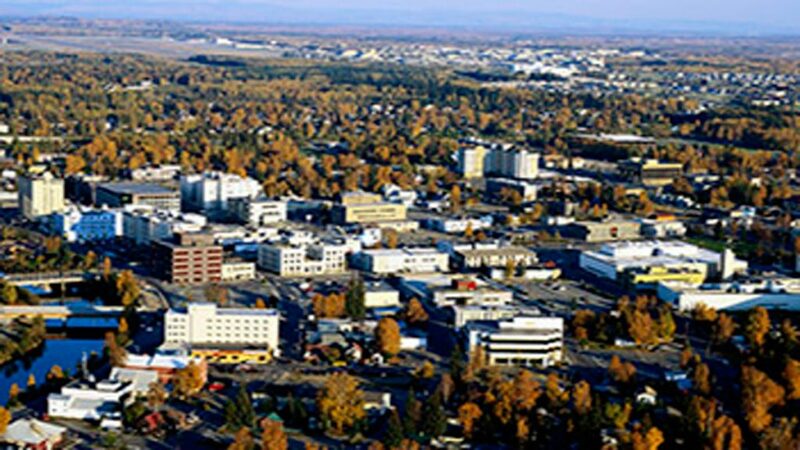 If you’re like a lot of people looking to get the most out of their trip to Alaska, you’re probably starting in the city of Fairbanks. What you’ll find in Fairbanks that will be hard for you to find anywhere else is the incredible land excursion tours offered. You won’t want to miss the opportunity of taking a bus tour to the Arctic Circle. But before you decide to go, you may be wondering why you should go in the first place. What is the Arctic Circle anyway? To put it simply, it’s just an imaginary line that goes around the northernmost part of the world. 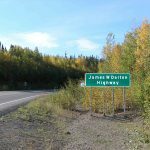 This may not seem like such a big deal, but once you cross over to the Arctic Circle, you can get a feel for a totally different world. Here, the sun does not set at all during Summer Solstice and does not rise during the Winter Solstice. The further you go above the Arctic Circle, the longer the time period is for how long the sun stays up or stays down. This phenomenon is caused by the tilt of the earth’s axis and how it affects this area of the world more intensely based on its extreme northern location. Imagine a 24 hour day of complete sun or complete darkness. It’s unlike any other part of the world, and if you come during one of the solstices, you can experience it for yourself. We’ve already mentioned that once you cross over the Arctic Circle line, you’ll be in a land where days and nights are completely skewed. This is an incredible natural phenomenon that can be an awe-inspiring experience. It’s not just about making it across the line that divides the Arctic Circle. It’s all about the journey to get there. The state of Alaska holds a sense of peaceful tranquility and many people come here simply to take all of it in. 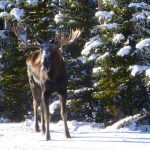 If you choose to take Airlink Alaska’s Arctic Circle Tour, you’ll get to see a variety of wildlife during the day while on the road, including bears and moose. Alaska’s tundra environment is absolutely beautiful, whether you visit in the summer or the winter. 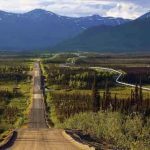 While taking the trip across the famous Dalton Highway, you’ll get to see the Yukon River and Finger Mountain in all their glory. You’ll also be closely following the Trans-Alaska Pipeline for nearly the entire trip. 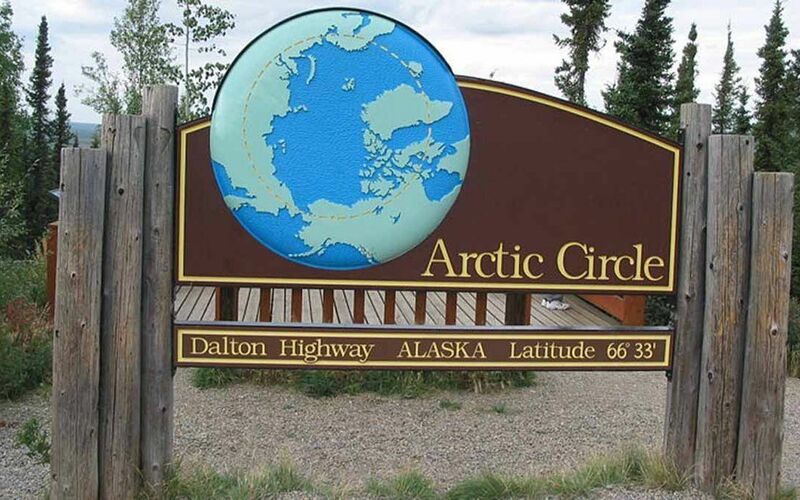 If the Dalton Highway begins to look familiar to you, it might be because you recognize it from the show, Ice Road Truckers, as they take the Dalton Highway, too. 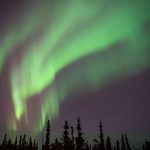 Many people choose to take Airlink Alaska’s Arctic Circle tour for the opportunity to see the Aurora Borealis on the way back. At night, you’ll be able to see the Northern Lights, and it’s so stunning that you won’t believe your eyes when you see it. 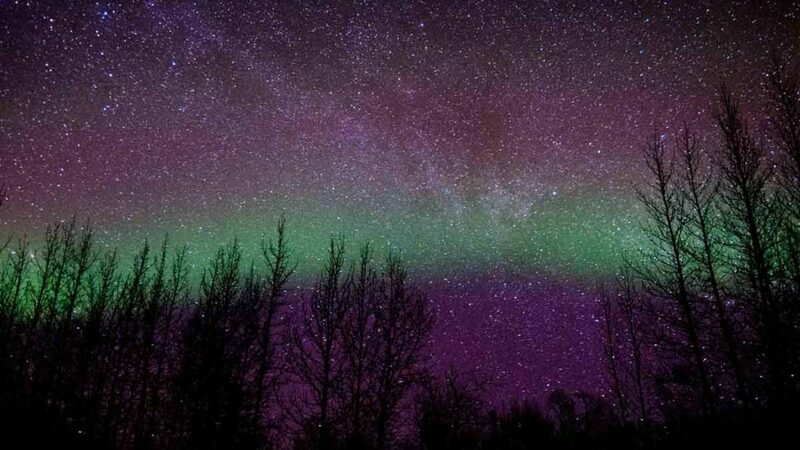 A picture of the Aurora Borealis does no real justice for the real thing. 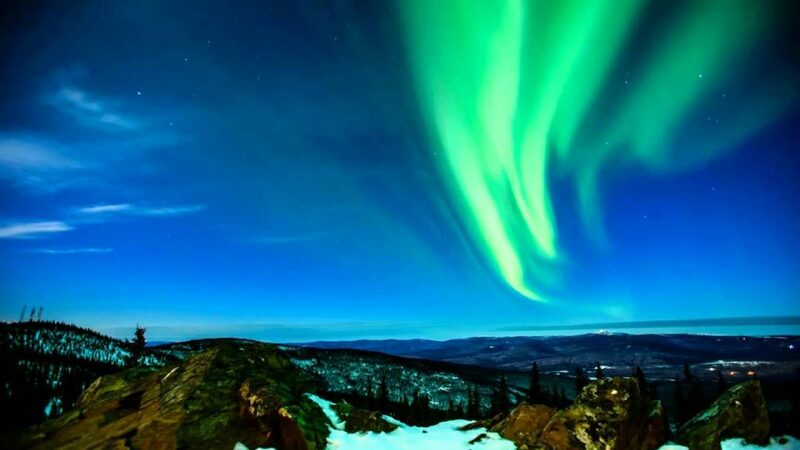 The amazing streams of shimmering colors lighting up the night sky is truly a sight that you’ll never forget, and you’ll finally be able to say that you got to experience seeing the Northern Lights for yourself. You’ll remember this trip for years and years to come, and you’ll have plenty of opportunities to capture it all with a camera if you take a tour with Airlink Alaska. Airlink Alaska will be sure to make plenty of stops along the way, giving you ample chances to get out and take fantastic photos. One of the most popular pictures that people take is of them standing in front of the famous Arctic Circle sign. You’ll have the opportunity to get in front of the sign and get your picture too, so that you can preserve these incredible memories and keep them with you forever. When you take an Arctic Circle tour with Airlink Alaska, you can expect only the highest quality of a trip. The road from Fairbanks to the Arctic Circle totals 198 miles each way. That is 198 miles of incredible scenery. You’ll make lots of stops along the way. The first stop will be to a grocery store so that you can get anything that you could possibly need for the trip. After all, this is a trip that will last 12 to 14 hours total and you’ll need lots of food and drinks to take with you. It may seem like a long time, but what you will see and experience will make it completely worth it. You may even find that the tour ends far too soon, leaving you longing to see more of the beautiful state of Alaska. Next after the trip to the grocery store, you’ll stop at the Trans-Alaska Pipeline. After that, you’ll get to stop at the Yukon River Bridge. This bridge spans for half a mile, across the largest river in all of Alaska. After that, you’ll get to stop and see Finger Mountain. These rock formations are mighty impressive, looking like fingers jutting out of the earth. This stop is a great opportunity to take lots of incredible pictures. Finally, you’ll arrive at your long awaited destination, the Arctic Circle Monument. You’ll receive a Crossing Certificate that you’ll get to keep for yourself for years and years to come. The trip all the way there is during the day, and this is when you’ll get to see all the wildlife doing their own thing in their natural habitat. 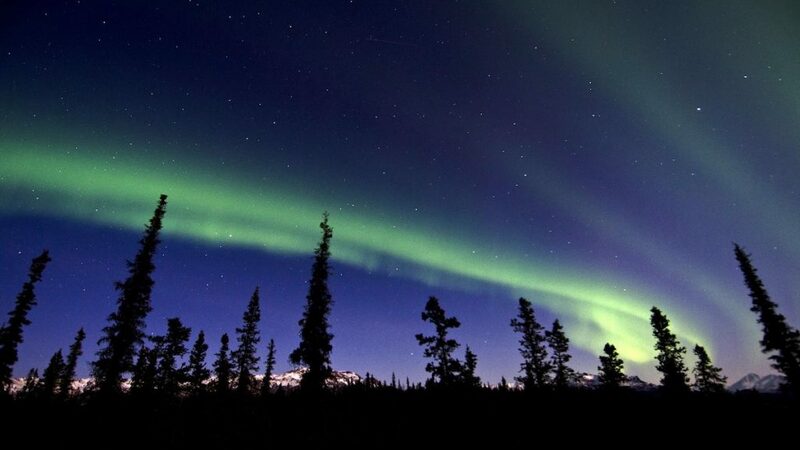 Alaska is beautiful at night as well, and on the way back to Fairbanks, you’ll get to experience the magical of the Northern Lights during the winter months. It is truly a sight you don’t want to miss. There are so many wonderful things about this trip, and you won’t want to miss out on the opportunity of a lifetime. Get to discover all the beauty of Alaska — from roaming wildlife and scenic tundra, to the Northern Lights and Yukon River — when you take the journey to the Arctic Circle. And when you take this exciting trip with Airlink Alaska, you’ll be getting the best experience possible. 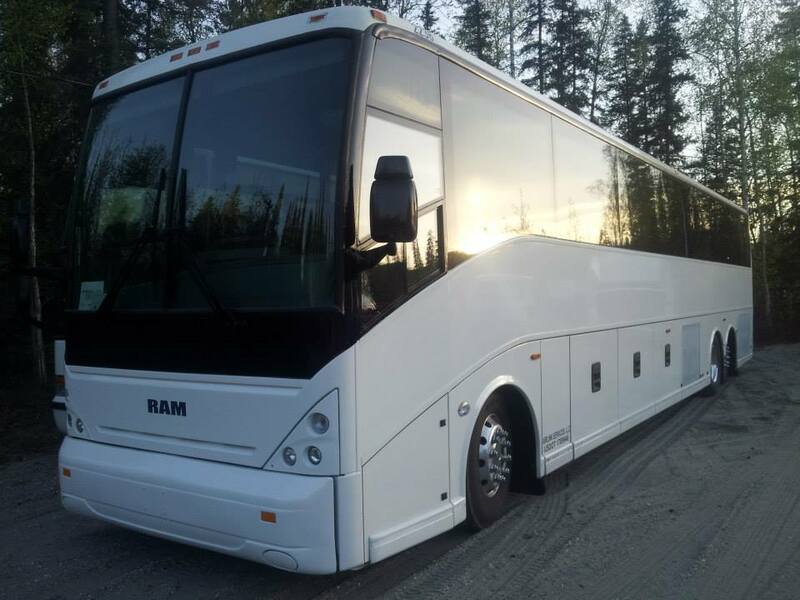 This company is family owned and operated, and has had over 55 years of experience doing Alaska tours, so you’ll be guaranteed a high quality, memory-filled trip. That bucket list isn’t going to fill itself, but Airlink Alaska is willing to help you do it. So what are you waiting for? Get out there and plan your trip to the Arctic Circle today!